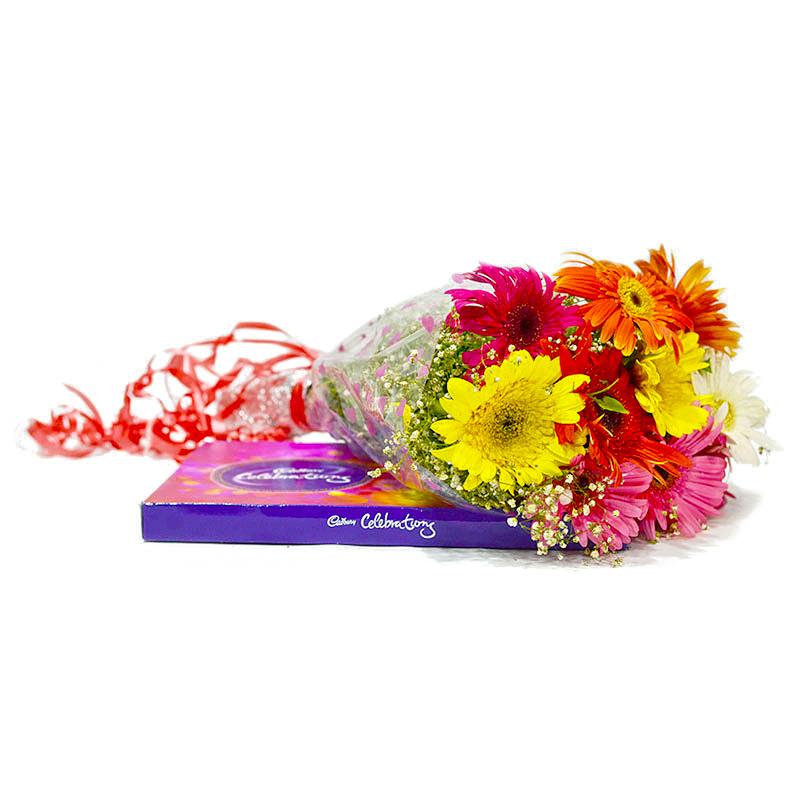 Product Consists: Bunch of 10 Mix Gerberas along with Cadbury Celebration chocolate Box (Weight : 119 Gms). 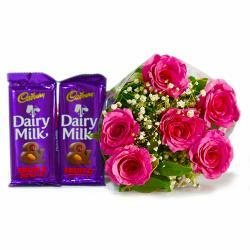 Just give a look at this very different gift combo which is all set to delight your lover on the special occasion like Birthday, Anniversary, Romantic, Valentines Day and Missing You. 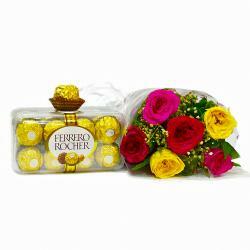 This gift combo is comprises with Celebration chocolate Box and a bunch of 10 Mix Gerberas in cellophane wrapping. 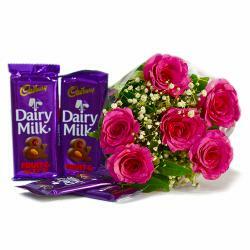 This is gift combo are best for making anyone feel instinctive aptitude. So go ahead and book your order now. You may also send Gifts to India to your near and dear ones through Giftacrossindia. 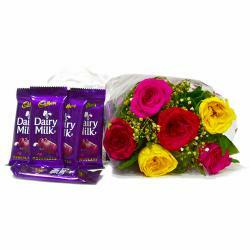 This gift hamper contains : Bunch of 10 Mix Gerberas along with Cadbury Celebration chocolate Box (Weight : 119 Gms).